Today I’m bringing you a much beloved recipe from the South. From what I read and hear, it isn’t nearly as popular outside of our little geographic region as it is here, but folks in these parts consider it a staple in every home! Long before the days of snack cakes and convenience foods, Pimento Cheese sandwiches dominated minds when it came to a “quick bite to eat” or a “little lunch”. They were cheap and delicious on plain old white bread, although I serve mine on wheat these days. I remember going to Grandmama and Grandaddy’s house and finding one or both sitting at their kitchen table having a pimento cheese sandwich and a glass of milk. They’d always ask “Ya want some puh-men-ah cheese, baby?”. I never refused. What better time to bring you this than during my time serving as a Velveeta Kitchenista? I hope you’ve been visiting Velveeta It!’s facebook page this month as myself and four other Mom bloggers present a new Velveeta recipe each day but if you haven’t you can still breeze on over there and catch up on all of the wonderful tips and recipes that have been shared so far! Just visit www.facebook.com/velveeta and be sure to drop a howdy to me there this Thursday when I’ll be hosting Tasty Traditions Thursdays! You’ll need: 16 ounce block of Velveeta, Pimentos, and a little Mayo. Grate your Velveeta. Now Velveeta is a little on the soft side so I found an easy way of doing this. You remember play-doh? Just get your grater out and place the block of Velveeta against it and press into the grater. It comes out the other side quick and easy as can be and ends up being a lot less work than grating a block of cheddar. Dump in a jar of drained pimentos. I used the small jar which is about 2 ounces. Add about 1/2 cup of Mayonnaise. You can add more to taste if you like. Grandmama doesn’t salt and pepper hers so I didn’t either. I found it to be utterly sublime as is but feel free to salt and pepper (and even garlic!) yours if you got a hankerin’ to. Serve on a sandwich or crackers. These are a standard at every party, too. There is nothing like little finger pimento cheese sandwiches with the crusts trimmed off to add an air of tradition to a gathering! Did you eat pimento cheese growing up? Do you have a different recipe or a special Pimento Cheese memory? Push Velveeta through a grater until all is grated in a bowl. Add Pimentos and Mayo. Stir well. Salt and pepper if desired. Serve on loaf bread. Today’s quote is one of those that kinda hits you in layers. Hope you enjoy it! Submitted by Angela. To submit your quote, click here. 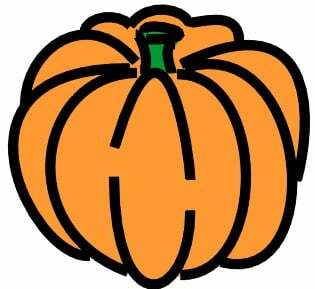 I really enjoyed Maralee Mckee’s post this morning on Trick or Treat Manners. Click here if you’d like to read it, too! Free Magazine: Exclusive Recipe and Column! I LOVE homemade pimento cheese! Can’t eat store bought. My grandmother and grandfather have always made it as an appetizer for holiday meals with celery. Papaw always uses sharp cheddar cheese, salt, pepper, pimentos and mayo. I add a little worchestershire sauce to my recipe. I will have to try making it with Velveeta next. Thanks for sharing! Happy Wednesday! 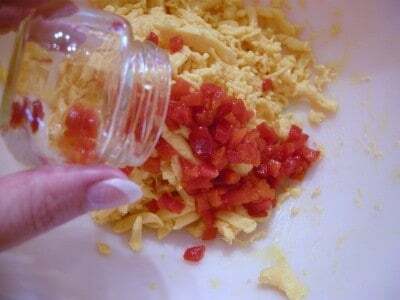 When I make pimento cheese, I add just a sprinkle of hot sauce! Makes a great difference, without being too spicy. I love it! My dad always ate pimento cheese on his burgers. Of course it is best on a piece of white bread. This recipe really brings back memories. We used to eat homemade pimento cheese between two saltine crackers with several drops of worchestershire sauce dropped onto the top cracker. I know it sound strange, but it is absolutely delicious… We added chopped up pickled jalepenos sometimes for a little extra spice. Thanks for the great recipe! I don’t think many people other than Southerners call bread loaf bread either! We always ate Mrs. Stratton’s pimento cheese growing up but it’s not as good as homemade. No matter how much fancy food is available at a social, (and Southern Baptists have a LOT of socials), I always pick up a ‘menter cheese sandwich! I use half Velveta and one fourth American cheese and one fourth sharp cheddar cheese. This is the way my son likes it. It does take a tad getting used to but it is good. Clay always wanted it on toasted wheat bread for breakfast. Keep all the goodies coming. I have got a zillion of your things stored in my computer Hal. Thanks! I appreciate this idea of having it for breakfast! My mom adds a pinch of sugar to hers as well! mama made her pimiento cheese the same way except she used miracle whip instead of mayo. that was one of few things that i actually liked miracle whip in. i haven’t made it in years, this may inspire me to use the block of velveeta in the fridge for something other than ro-tel dip! Me, too, mama jane!!! I’ve got a little block in my fridge right now. Just need the pimento to go in it (with a smidge of sugar) and I’ll have a great lunch tomorrow! 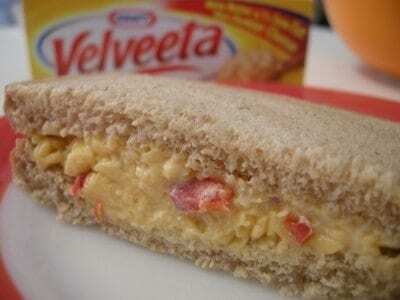 Oh I soooo want a pimento cheese sandwich right now! I like cream cheese and pimento, yummy. I will have to give this a try, I think Stephen would love it with a bowl of hot tomato soup. I bet I can put it in the george foreman grill and get it all melty too. ok, now I’m hungry. thanks again for yet another great recipe. Love you bunches. I’m 69 yrs. young and when growing up it was bought in our household in reusable little juice glasses. We ate it on crackers but it was still a special treat. I love Pimento Cheese and this is such an easier recipe than I have seen! I will have to make this one up! Thanks for sharing! I never buy pimento cheese when it’s so easy to make. I always use sharp or even extra sharp cheddar, minced onion, a little garlic powder, and mayo–Miracle Whip makes it too sweet. If you don’t want to bother with shredding cheese, buy the finely shredded and your pimento cheese is ready to eat in minutes. Try it on baked potatoes. Yum! I love your idea of trying this on potatoes too! I got a huge bag of potatoes from Walmart (for 2 bucks, ka-ching!) and I was wondering how I`m gonna use it all up. Baked and mashed potatoes get old after a while … Thanks for the great idea! A drop or two of Tabasco will give it a little zing, also. You never know what you got til its gone! Never in my wildest dreams did I imagine pimento cheese was mainly a regional thing! When I moved up north you could not buy pimento cheese…shoot, the only way to buy cornmeal was in a 1 lb box from the cereal aisle. However this caused me to learn to make my own because my husband will eat this 3 meals a day plus snacks. The only problem is I never could quite get it right. I experimented with all different things and added spices but I never tried making it with Velveeta. Maybe that is what I was doing wrong. Okay, you`re scaring me. I`m not sure how far up north you are, but since I`m in Canada, I`m definitely crossing my fingers that I`ll be able to find pimentos at the supermarket. OOOh, I so want to try this recipe. I like `savoury` treats — I don`t have much of a sweet tooth so this is right up my alley! I enjoyed the treat or treat primer. She writes in a very common sense manner with a sense of humor tossed in. Very reminiscent of you Christy. You know what makes this recipe even better is that Velveeta is on sale B1G1 free at Publix this week! Happy eating! I love pimento cheese! I used to keep it the house all the time, but I had to quit because I kept eating it. I’m going to try making this with Velveeta, and see if it’s as good as I remember my mom’s being-always on white bread of course! When Mama was telling me how to make it, she said to add a spoonful of vinegar because that’s what made it Pimento Cheese as opposed to a cheese sandwich. Of course, I asked her “What’s the difference?” and she practically just repeated what she’d just told me. LOL. Neither she nor my dad could explain the taste difference. Just that one was pimento cheese and the other wasn’t. I did it like she told me though and it was pretty good. I used cheddar though instead of Velveeta. I will try Velveeta next time. I also tried to grill it because that’s what I wanted to do with it in the first place and when it started to get toasty, the insides just pooled out all oily-like. Does anyone know the secret to toasting them? My mother adds sugar and a little vinegar too! Christy you got to know this is a favorite of mine. I first had a pimento cheese sandwich with my Bestfriends grandparents. It was made with sharp cheddar finely shredded and a jar of pimentos with some mayo. Pimento cheese with peanut butter on rye, oh my! I have never seen velveeta used and I certainly haven’t ever heard of such a smart suggestion for grating Velveeta! My momma always added just a teaspoon of sugar to balance out the tang of the pimentos. It let the punch of the pimento through, but just a tiny bit softer. Thanks, Christy! Oh gosh! I haven’t had pimento cheese in, like, forever! My mother used to love it when I was a kid! I can remember the tangy, cheesy taste of it! I live in NY (an hour north of NYC), yes very far from the Mason Dixie line, but I love your blog Christy! In my defense we do have a summer home in Longs SC (near N. Myrtle Beach). I love the homey comfortable feel of all your recipes and ramblings. I have eaten Velveeta maybe once in my life (honestly)but this just sounds plain yummy! I have tried many of your recipes; matter of fact tonight is your meatloaf casserole…lol. Thanks for doing such a great job here and allowing us all to enter a bit into your life. I have a great love of the southland and to be able to have someone share it with me on a day to day basis, is a blessing!! Thank you again Christy! 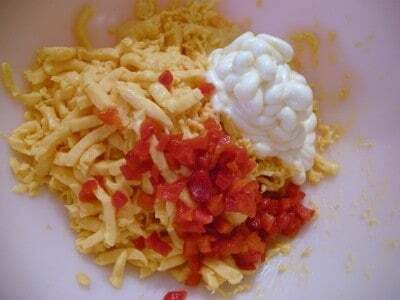 My mom made pimento cheese with grated sharp cheese, an 8oz. block of cream cheese, softened and a jar of pimentos, not drained and a pinch of salt. I make mine today in the food processor-so easy and quick and yummy. I have had it at a party made with cottage cheese in place of part of the cream cheese. Pimento cheese sandwitches are the best. 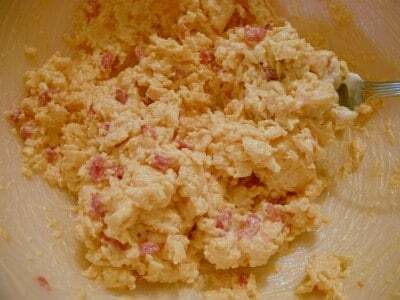 Paula Deans sons have a great recipe for pimento cheese they also use cream cheese in it. It’s to bad the rest of the country doesn’t know about this great sandwich. That’s the recipe I use. I don’t care for it, but my hubby loves the stuff, so I make it for him. so, we will be trying this recipe too. There’s nothing better than a pimento cheese sandwich, served with a Coke in a little glass bottle. And, I’ve never even been to the Masters! I just know good eats when I see ’em! Perfect! One week out from a my most recent surgery and having a hard time with eating and having no appetite. I got hungry as soon as I saw the photo of the pimento cheese sammich. I had everything on hand to make a batch. Used my last 10 oz of sharp cheddar and 6 oz of cream cheese to make up the lb of cheese. I always like a tiny dash of worchestshire and a couple drops of tabasco. Then I remembered that I didn’t have any bread in the house…had my pimento cheese spread wrapped up in a lettuce leaf. It was delicious! Pimento cheese has curative powers! If mama were still alive she would have made some for me and some chicken soup too. Thanks Christy for having just the right recipe at just the right time. White bread, no crust, little triangles and rectangles. Pimento cheese sandwiches and chicken salad sandwiches are a finger-food standard where I live. I also wow people with my PBJ finger sandwiches. I stir the peanut butter and the jelly together. Cut them up with an electric knife and they are a big hit at parties. From the simplest kids birthday party to the most elegant wedding. These are always on the menu. My younger brothers always made pbj sandwiches by mixing the peanut butter and the jelly when we were growing up. I thought they were so weird, until I tasted it one time! It’s so delicious! I never thought of serving them to others like that though, what a great idea. I also like putting the pbj stuff on graham crackers for a yummy snack. We do this with pb and honey. It’s so good! Do any of y’all remember “commodity” peanut butter? It was a peanut butter given in the Government Commodity program. They’d give PB and cheese and such to seniors and folks with an income below a certain level. My grandparents always got it and I just loved it. The Peanut butter was a little grainy, they also used it in the school lunchrooms. I’d DEARLY love to find a peanut butter today that tastes like that!!! Oh yes, my grandmother used to get the government peanut butter and cheese, too! I think the natural peanut butter like they sell at health food stores is similar. It’s grainy and the oils separate when it sits because it’s mostly just ground nuts with no preservatives and stabilizers and such. I got some on sale yesterday for $3.99 a jar. My grandma got that PB and cheese too! I remember it made the BEST grilled cheese sandwiches! !